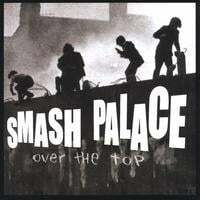 Philly's Smash Palace is a veteran band that keeps cranking out great albums over the years. Once signed to Epic back in the late 80s, Palace has hit its stride over the past seven years with three quality self-released cd's, capped by the very late 2004 release (close enough for me to count it as '05), Over The Top. Over The Top was pretty much the best jangle-rock album of the year. Standouts on this one abound, from the opener, "Steal Her Thunder" to my favorite "Juliet to Me". The level of consistency from track-to-track on this one is what makes it a true keeper. If you're a fan of the classic janglers, from The Byrds to Tom Petty, this one is a must-buy. And there's good news - I just saved a bunch of money on my car insurance. (Sorry, couldn't resist). Actually the good news is that the album is available on eMusic here, as well as their previous two releases. Their official site has four full streams from Over The Top, including the two I singled out above. And you can buy it at the usual power pop retailers. But wait - there's more! (I really have watched too many commercials in my lifetime). Palace is releasing a brand-new best-of album covering their three latest releases, along with two brand new tracks: "Like I Do" and "Thinking About Her", with the latter being streamed at their myspace page. The best-of is to be officially released in May, but if you email Smash Palace's Stephen Butler and ask him real nice, he'll sell you an advance copy now. Also note that Mr. Butler produced the MezzRow disc that was our most recent CDotD, as well as playing on and co-writing several of the tracks. I knew there was a reason that disc jumped out at me.